A quick stop for refreshments in a small drinking hole on the way to the main beach of Mumbai called Girgaum Chowpatty. 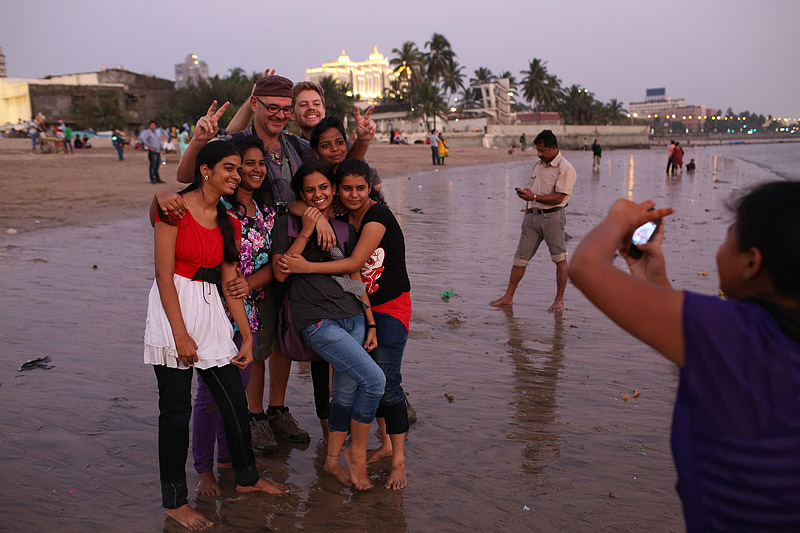 Boris and Alfred pose to a picture with a group of Indian girls on the Girgaum beach in Mumbai. Having a photo together with a foreigner is considered cool and fashionable among quite a few Indian teenagers. So if you are a Western tourist in India be prepared for countless photo requests. It is up to you to accept them or not. Faisal photographs an ice-cream seller and his stall at Girgaum beach in Mumbai. During the workshop we were getting close to people, interacting with them and photographing. No zooming in. Wide angle lenses and a close distance. Boris photographs people exercising on the sea promenade along Marine Drive in Nariman Point area of Mumbai. Early morning many Mumbaikers congregate in that area to practise yoga, jog and exercise. 5 – 11 December 2013. Exciting, isn’t it? There is so much to shoot there! Additionally people are super friendly, food is great and being here is cheap. Maciej knows the city very well and will lead you to some fascinating areas, where not a single tourist ventures. You will love it there. More about Mumbai on wikipedia and Lonely Planet. It will be a very practical workshop and there will be a lot of shooting every day. A very small group of 3 participants means a very high level of interaction with Maciej. You will be working in pairs changing “partners” after the lunch break. While shooting with Maciej you will have a chance to observe him at work, learn his techniques and tricks. A special attention will be put on developing and practising “social skills” – an interaction with local people. You will not only hunt for decisive moments like Henri Cartier-Bresson but also get close to people, talk and photograph them. Maciej is a very experienced travel and street photographer and you will learn a great deal of new things. 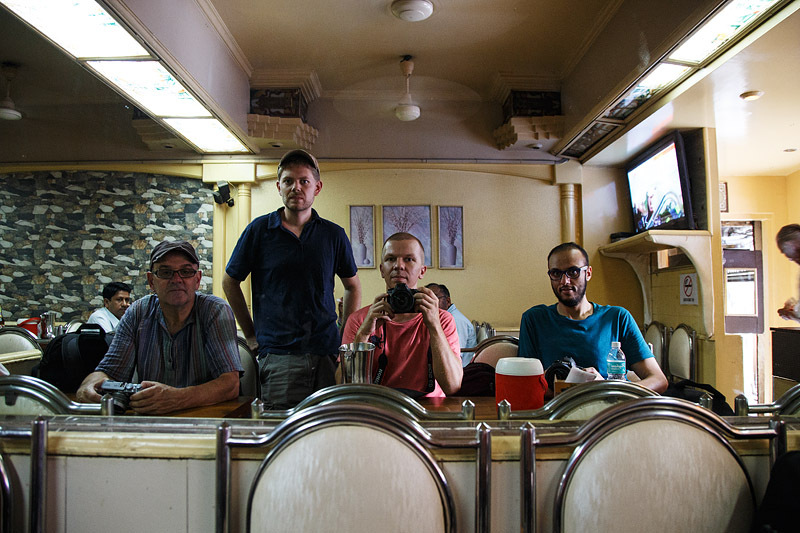 In the evening you will edit and discuss your photos in the group together with Maciej. There will be plenty of opportunities to talk photography too. There will also be presentations on several nights of the workshop in which theoretical and practical aspects of street photography will be outlined and discussed. It will be a very memorable week that will change you not only as a photographer, but as a person too. You will return back home confident, inspired and motivated to keep developing as a photographer. This entry was posted in workshops and tagged india, mumbai, workshop.